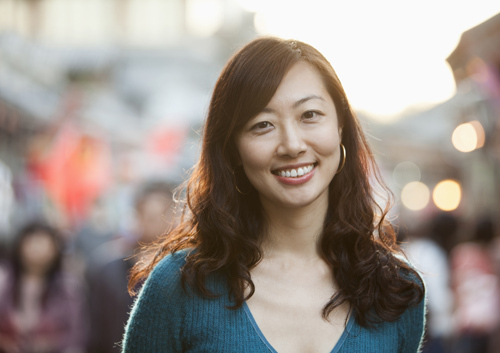 Our practice has received specialized training to work with Invisalign. During your consultation appointment, Dr. Pedro Santiago & Dr. Liliana Gandini will assess your smile needs. In some cases, the type of problem may not lend itself to correction through Invisalign, and we may offer an alternative solution. Invisalign works using a series of customized clear trays that fit almost perfectly over the teeth. To create these trays, Dr. Pedro Santiago & Dr. Liliana Gandini will take X-rays and impressions of your teeth. These are submitted to a specialized laboratory that makes a 3D image of your smile. This is used to create a specialized treatment plan that provides an estimate of how long treatment will take. In general, you will replace your aligners with a new set every two weeks. This is to encourage your teeth to continue moving throughout the treatment process. You’ll need to check in with our Durham, NC Roxboro, NC office every six weeks or so to ensure treatment progresses smoothly. Once you complete your individualized treatment plan, you’ll have the smile you’ve always dreamed of. Like with traditional braces, Dr. Pedro Santiago & Dr. Liliana Gandini may recommend that you wear a retainer to ensure that your teeth remain in their new positions. 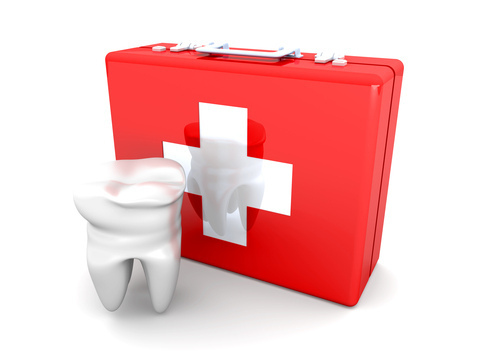 At Advanced Orthodontics & Periodontics, we know orthodontic emergencies are neither convenient nor timely. If you are a patient of record, Dr. Pedro Santiago & Dr. Liliana Gandini and our team are more than willing to see you after hours or over the weekend. As a general rule, you should call our Durham, NC Roxboro, NC office when you experience severe pain or when you have a painful appliance problem that you can’t take care of yourself. We’ll be able to schedule an appointment to resolve the problem. If you have an orthodontic emergency after regular office hours, please give us a call and follow the emergency prompts to contact one of our doctors. Repeated exposure to hot liquids may also cause the Invisalign aligner to distort. This distortion changes the shape of your aligner in a way that will affect how it straightens your teeth. Contact our Durham, NC Roxboro, NC office if your Invisalign aligner has distorted after consuming a hot beverage. Contact our Durham, NC Roxboro, NC office for more information about eating and Invisalign. Does your mouth always feel like it’s dry? If it does you may be suffering from xerostomia. Xerostomia is defined as dry mouth resulting from reduced or absent saliva flow. There are various medical conditions that can cause this type of dry mouth, which you can ask more questions next time you visit us at Advanced Orthodontics & Periodontics. What should you do if you are experiencing dry mouth symptoms? First make sure to hydrate with plenty of water. If you are taking medications that cause xerostomia, make sure to drink water before taking the medication as well as a full glass of water with the medication. Be diligent with brushing and flossing and discuss your condition at your next appointment with Dr. Pedro Santiago & Dr. Liliana Gandini. We can recommend specific products to help moisten the oral cavity and reduce your symptoms such as saliva substitutes, xylitol products, and certain toothpastes. Another option may be a prescription home fluoride treatment to help prevent new cavities. You may want to try gum or candies to stimulate saliva flow but make sure they are sugar free! Avoid food and beverages that dehydrate such as caffeine and alcohol. Xerostomia is a common problem that is currently on the rise. Our team can help you to reduce any symptoms and improve your comfort while living with a dry mouth. Contact our Durham, NC Roxboro, NC office today!